Since it first turned heads at E3, the gaming media has been in a passionate love affair with Bethesda and developer Arkane Studios’ new IP Dishonored, so it’s a shame that the game will likely end up with the tag “sleeper hit” rather than blockbuster. 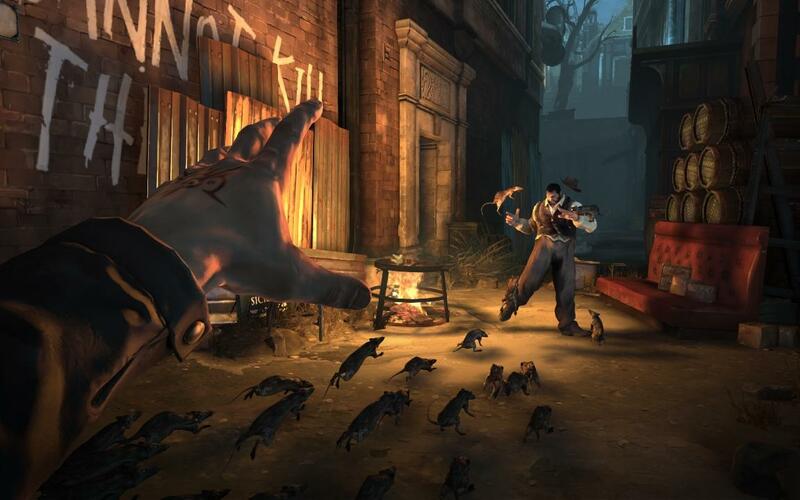 Without a lucrative number after the title to denote a sequel, or a billion dollar franchise name in front of it, Dishonored may be passed over by people that have already allotted their gaming money on one or more of the massive franchise titles due out later this year, not to mention a whole new console from Nintendo. That is both understandable and justifiable for the majority of us living on a budget, unable and unwilling to drop the financial equivalent of a tropical vacation on several upcoming big releases. 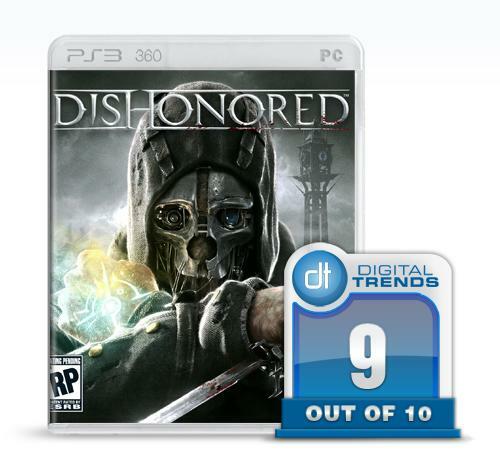 But it is a shame, as Dishonored is almost certainly the best game of the year that most people won’t play. I hope I am wrong though, and I have been known to be off on my predictions a time or two. My sad and lonely HD-DVD collection can attest to that, and registering johncarterthemovie2.com may have been a touch premature. So I may not be an expert when it comes to picking things like this. But new IPs face an uphill battle, and Dishonored can be difficult to describe. It really is essentially two games in one package, depending how you approach it. The foundation of the game is built upon a first-person stealth mechanic, with enemies that can be avoided or ambushed, and areas that promote out of sight movement. If you like, you can complete the entire game without being seen once or killing a single foe. On the other hand, if you want to raise a little hell you have the tools that allow you to smite your enemies in creative ways that could have you cackling with glee as you spend 20 minutes setting up one perfectly awesome kill. Both styles offer their own positives and negatives, both adapt to the way you approach them, and each is exceptional in its own way. In an alternate world, the city of Dunwall has become a pale shadow of its former glory. The Rat Plague has forever altered life in the capital of the Empire of Isles, and following a desperate appeal to other nations for a cure, The Lord Protector, Corvo Attano, returns to his Empress just in time to watch her assassinated. The heir, Emily, is kidnapped while Corvo is convicted of the crime by the corrupt Spymaster, who names himself Lord Regent. There is dissension though, and a small band of rebels free Corvo and enlist him to help with their plan to place Emily on the throne. But before being sent on his first mission, a being known as the Outsider visits him. Neither good nor evil, the Outsider’s motives are known only to him, but one thing is sure, he wants a good show. Granting Corvo magical abilities, he sets him on the path to justice — or revenge. The world of Dishonored is unique and filled with enough details to give you a feel for life in Dunwall and the surrounding areas. The narrative is relatively straightforward, but anyone that has read a fantasy novel with a steampunk flair will feel a twinge of recognition. It is a beautiful and well designed world, but it is missing something. Throughout the course of the game, you glean a rough idea of what the world you now inhabit is like, but you never fully understand the nature of things or get a sense of the rules of this weird new world. It is all hinted at, but much of that is through collectible books that you read on your missions rather than through moments you encounter organically. In this the storytelling fails just a bit, but that is because the world is so imaginative and rich that it naturally sets the bar higher on itself. You want to know more about this world. You want to understand the world that Corvo exists in, but you see only glimpses. That desire is borne of an exceptionally creative primer, so perhaps it is best that there are blanks for you to fill in. A bit more about the world, especially in such a narrative dominated game would be nice, but perhaps I am nitpicking because I am hungry for more. If nothing else, it gives Arkane a huge amount of freedom for any possible sequels to mine. As for the story itself, it is seen through the prism of consequences, and your actions make an impression on the world around you. If you play a deadly game, leaving bodies in your wake, the world will be darker. Plague victims (known as weepers) will roam the streets far more than if you play a less violent game, and pessimism dictates the nature of those you encounter. You may hear them talk about your dark exploits, and others may not be as willing to help you as they might otherwise. Taking a non-lethal approach will create a slightly brighter world, which in turn also creates quests that wouldn’t otherwise be available, but it comes at the cost of missing some other unique missions and it can take far longer. Although the game gives you the options of how to play, unless you are familiar with the events and how they unfold, going non-lethal — or at least mostly non-lethal — will give you more. Characters you spare return may return later, and certain moments will be unlocked as a result of your mercy. But make no mistake, the stealth/non-lethal approach can be difficult and frustrating at times, and be prepared to save often and reload even more than that. But pulling off a flawless run can be a thing of beauty. If you are willing to get your hands bloody you have a lot of options, and those increase throughout the game as you find more runes — collectibles that act as points for you to administer to your power tree as you see fit. Some powers like “Blink,” a teleport that shoots you from one line of sight to another, is an essential power, as are powers like “dark vision,” which allows you to see through walls, but you have the freedom to tailor your approach. Once you have a fairly robust set of options the fun really begins, and even if you are determined to beat the game via stealth it is worth going on the odd rampage (before restarting a previous save). The options are incredible. In the coming weeks as this game gains a bit of notoriety, there is one game you will hear referenced often: BioShock. That isn’t all that surprising since Arkane worked on BioShock 2, but it is also a fair comparison based on the freedom of action you have, along with the magic combined with weaponry interface. If you want to sneak to an electrified wall and rewire it to fry enemy guards, you can do that and just wait for them to walk through the wall unaware that they are about to get cooked. If you want to stick a grenade on a body then throw it off a roof to attract enemies waiting below, no problem. The more comfortable you are with the powers, the more options you have. Once you know the timing, you can even freeze an enemy as he is shooting at you, possess him, then with time frozen walk into the path of the bullet for the world’s most malicious suicide. Using a wind push combined with frozen time you can catch the pushed enemy with your sword, which never ever gets old. The gameplay is smooth and responsive, and the only limits are those you put on yourself based on your path. You won’t be able to max out every power, so you will need to make choices on your power ups. The runes you earn are the only way to increase those powers, and you can find them scattered throughout the maps. This ads something of a second mission within the mission, as some of these runes will take time and effort to reach. You don’t need to do anything special to go after the runes though, and that creates something of an odd issue in regards to seeking out and completing some of the optional side quests: namely, there is no penalty for skipping them, or any reward for completing them. Very rarely you will need to complete an optional mission in order to unlock another optional mission later, but this seldom leads to a worthwhile reward (with one or two exceptions). Of course, it is worth doing the side quests to hear more story, see new areas, meet new characters, and generally to further immerse yourself in the world, but removing incentives makes completing some of these more minor quests feel like busy work rather than actual progression. The same is true of the main quests as well. Sometimes pulling off a non-lethal takedown can be far more complicated than a quick round of murder, yet there isn’t any real reward for it. At the end of each mission you are shown a score card. There is a category for your chaos rank which determines the finale of the game, but the other scores – including the box for if you were a “ghost” and weren’t spotted — really doesn’t mean anything in the grand scheme of things. You don’t earn more for playing better, you don’t receive more powers for being merciful (or getting high kills), and that highlights the fact that you don’t really need to do it. It just ratchets down the excitement of receiving perfect marks after a difficult mission, but it is a minor complaint. It is also worth noting that despite the lack of rewards, I obsessively sought out and completed every optional mission anyway, and went back to replay levels so I could go through completely unseen. I assume most people will as well, so perhaps the criticism is moot. It is the gameplay, not the rewards (or lack thereof) that will get people to play and replay missions. 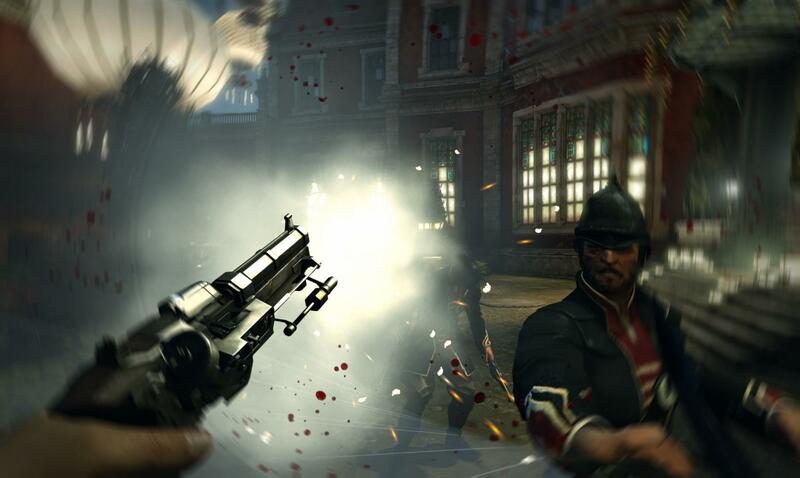 The gameplay is what sets Dishonored apart. The two approaches – bloody or shadow — are fundamentally different, and both are legitimate ways to play. Sadly, once you complete the game, you cannot start a new game with your existing powers, and replaying old missions starts you with the powers you had when you started those missions the first time. It encourages you to play a new game from scratch to try the opposite path, but it’s also a bit disappointing to not go back a little more beefed up. Again, that is a minor complaint, as the game is narrative driven. The game and gameplay are addictive enough that you probably won’t have an issue starting from scratch and trying it again and again, as the each playthrough feels totally different. That also makes it tough to say how long a game it is. It could be anywhere from 8 hours to 20– less if you try, more if you explore. 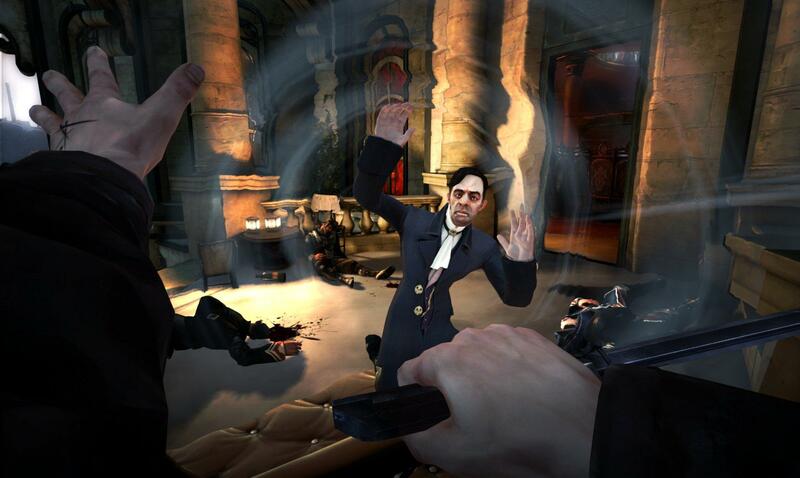 Dishonored is two games in one, and they both have moments of sheer brilliance. Each approach will make for an entirely unique experience, and each will appeal to a particular part of gamers. The stealth runthrough will bring out the most meticulous and demanding instincts – in other words you will be reloading a lot, but when you pull it off you will feel like a badass. The bloody walkthrough will require strategy and creativity, and you will constantly be thinking of new ways to dispatch enemies. It’s unfortunate that you can’t max things out and go back to try out old things in new ways, but it is the type of game that even after you have played it, you will wonder how you could have approached certain areas differently. You’ll want to go back to it again and again. Dishonored lives up to the hype, and it deserves the attention it has and will continue to receive. The gameplay is exceptional, and the world it displays deserves further development. Hopefully it will get the chance, and maybe this sleeper will graduate to full blown blockbuster.